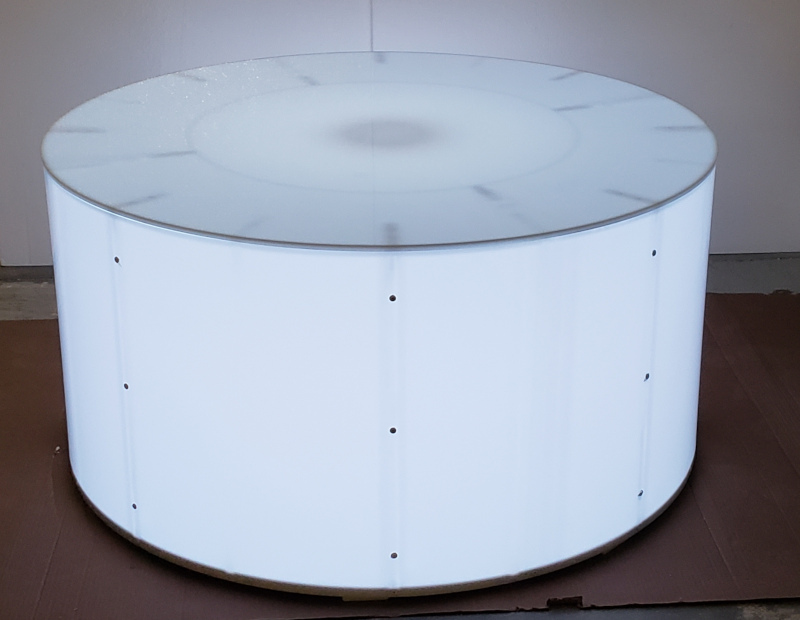 Banquet Tables Pro® 48 inch round LED color changing light up cylinder is great for trade show displays, retail stores & more! We have batteries available for portable applications like trade show, event etc. Depending on the battery size it can last between 8 & 14 hours. Many of our trade show customers purchase a spare battery.